There is just something about getting a badge that makes me happy. I didn't even earn this badge. It was awarded to me in recognition of outstanding support vehicle. 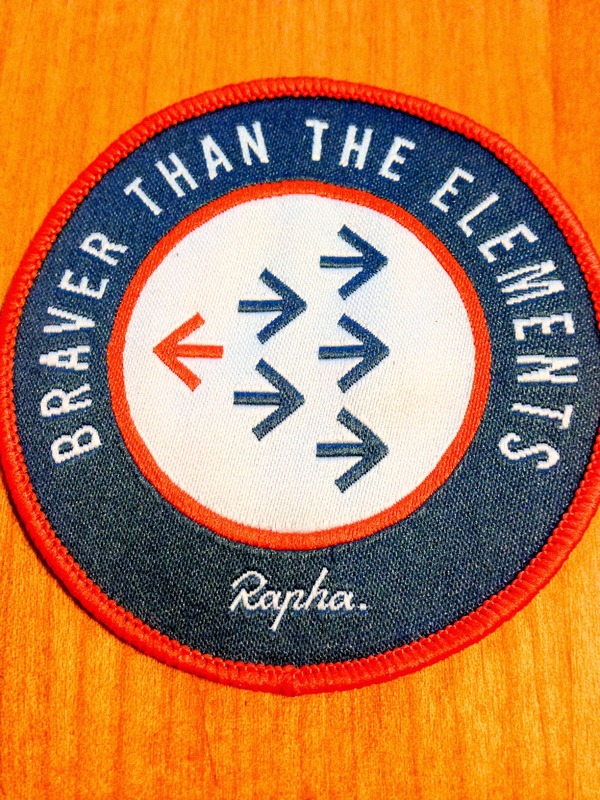 Yesterday I helped support the Rapha Braver Than The Elements ride in Boulder, Colorado. An event which took place across the United States (Alabama, Colorado, Pennsylvania, Illinois, Massachusetts, Wisconsin, New York, California, Oregon, Washington and BC, Canada!) on December 20th and saw over a thousand women gather on a cold winter's day to ride the elements and share good company. 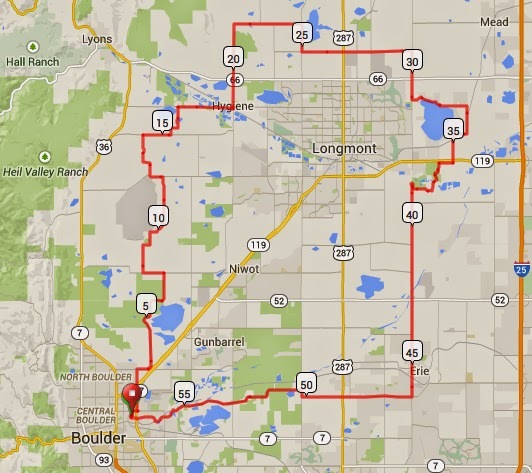 The ride in Boulder began in below freezing weather and covered 58-miles of dirt and paved roads, including roads I had never been upon. It was quite the adventure. It reminded me exactly what makes cycling such a fun activity. 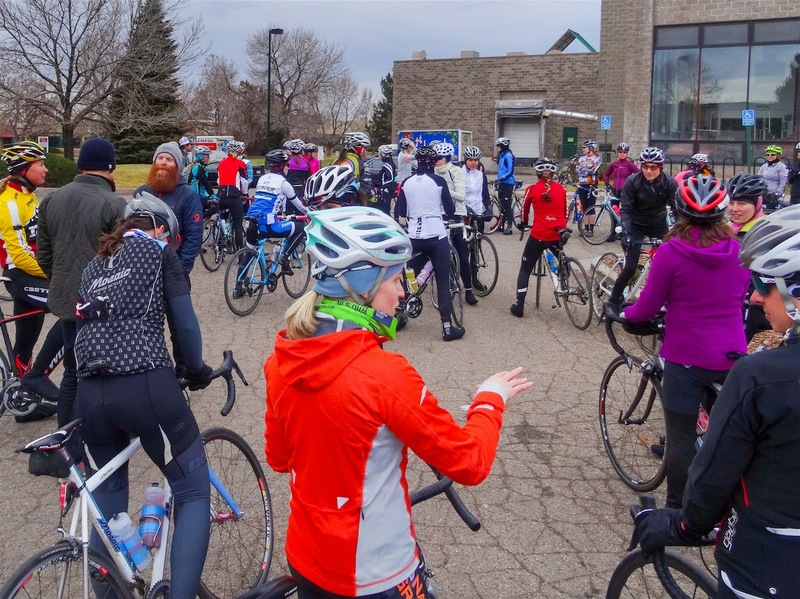 The Boulder Rapha Ambassador was able to bring together over seventy-five women, many of whom had never met each other before, and set them out in a straight - if somewhat strung-out - line upon the road to celebrate movement and a shared passion for cycling. It was a winter's day of new faces, new roads and non-competitive bike riding. It was also gloriously free. A wonderful reminder that the best of cycling comes down to a bike, some warm clothing and good companionship. It doesn't even matter if you know where you are going. Some of the women drove in from neighboring states or counties and were not familiar with the roads. They got lost, they got delayed, they created their own routes, and on one occasion they attempted to veer off-route by following a passing group of eighteen male riders (perfectly understandable). All of these distractions only added to their good moods. 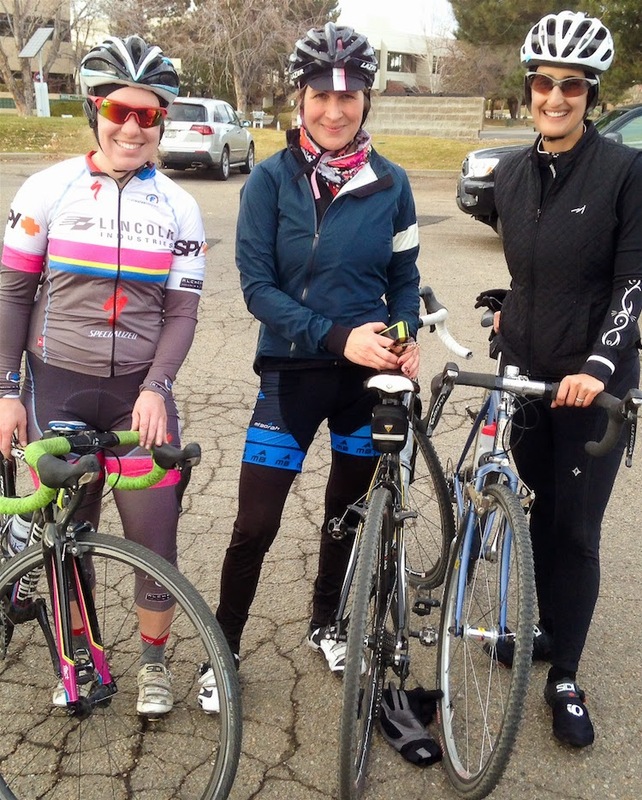 I witnessed strong capable women happy to be out riding their bikes together. Women who found their place in new groups and pedaled together to the finish line - which happened to be Boulder Beer Company, a worthy finish line I admit. I wish I had taken more photos because the day, although quite cool, was spectacular. The scenery beautiful, the roads relatively quiet, and the inspiration of the women cyclists grand. I hope Rapha organizes this ride again, preferably next time when I do not have a bum knee. It was a really fun day of watching women who made cycling look as carefree as their easy smiles after 58-miles of winter riding. Keeping warm before the ride. Trek Bicycles set up some of the women with free demo bikes. Rapha staff members were also on hand to enjoy the day. 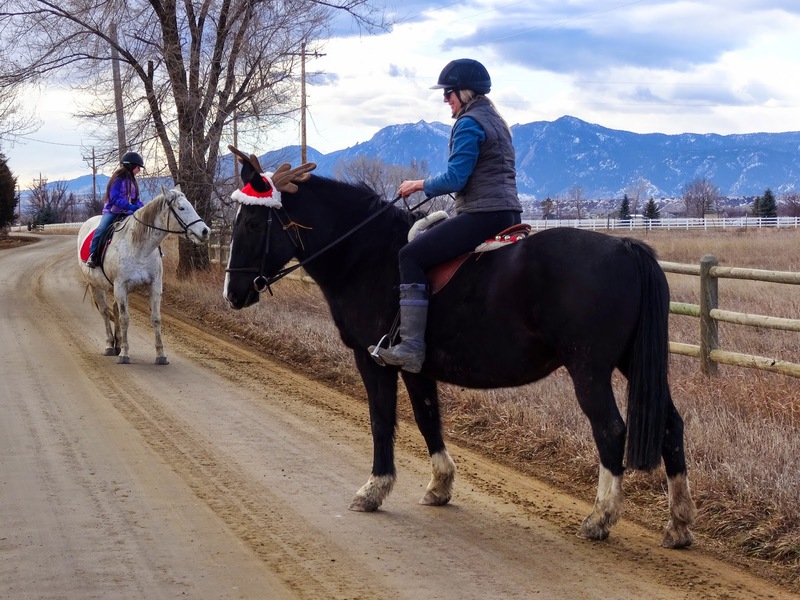 We passed festive horses out on the dirt roads north of Boulder. 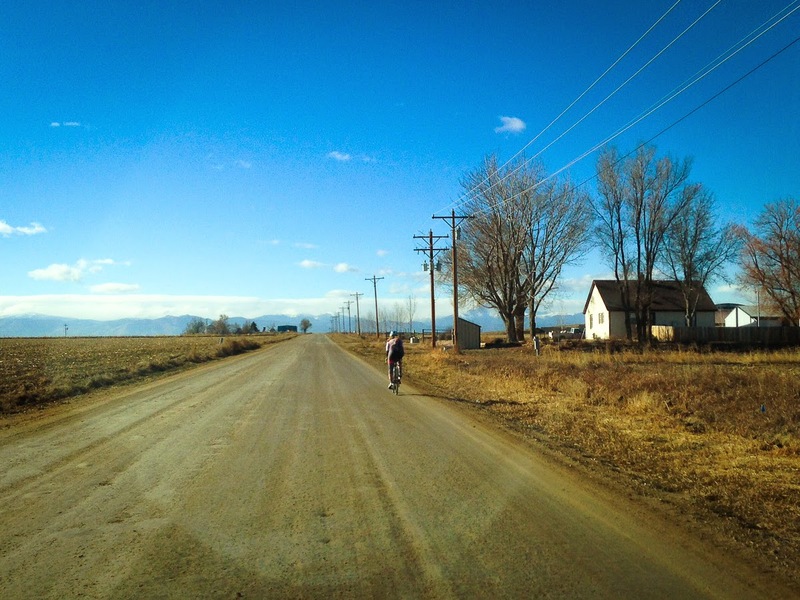 Rachael, from Nebraska, riding the open roads northeast of Boulder. Rachael, Monica, and Michele happy at the end of the ride. They soon joined the other women for a beer inside Boulder Beer Company.